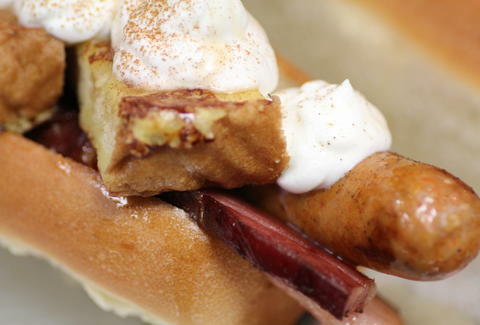 Because the only thing more American than a hot dog is a show about Russian spies that's currently on hiatus, we've asked the country's best chefs to come up with ultra-patriotic dogs, and we're letting you vote on them to tell us who's best. 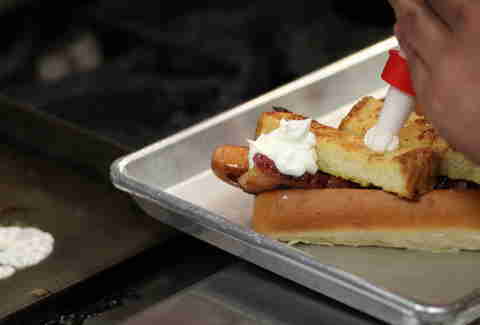 LA's entry into this game comes from Top Chef Masters contestant Neal Fraser (Strand House, Grace, um, FRITZI DOG!) 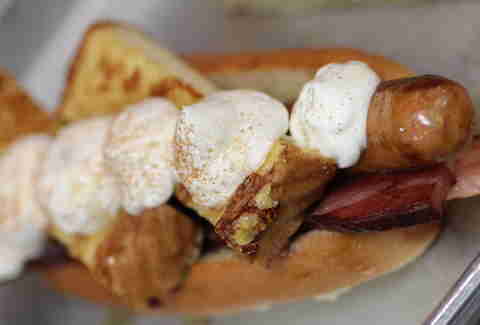 who decided to make the perfect breakfast and then THROW IT ON TOP OF A FREAKIN' HOT DOG. So vote for it, but, before you do, scroll down to see exactly how Neal put this thing together. You start with one of Neal's signature dogs: this pork guy's got some curry and French... er... "Freedom" spices cased right in with the meat. 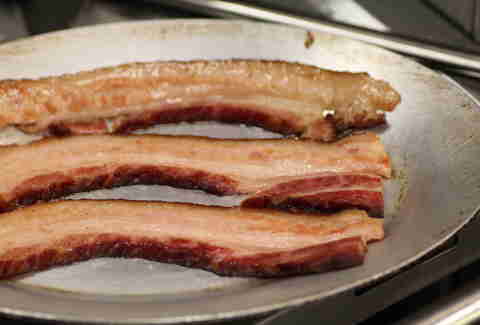 Then, they grill up a huge slab of this bacon to crisp it -- which's next-level, since it's already been sous-vide-ing for 12 hours. 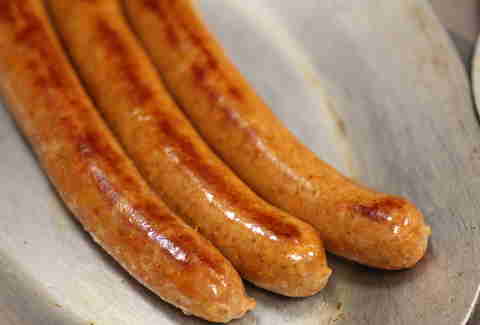 Those cured bad boys end up looking like this: big, amazing, greasy slabs o' meat. 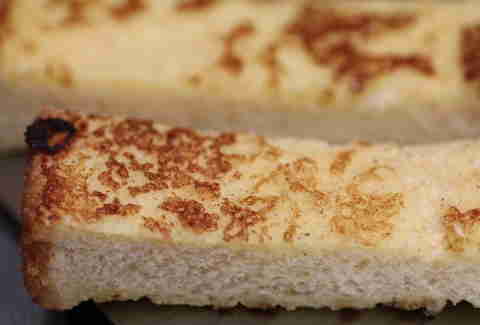 Toss the meat(s) on a brioche bun, then get bready for the next step: making French... er... Freedom toast. Dip it in a buttermilk and egg mixture, fry it, then grill it, and bam! 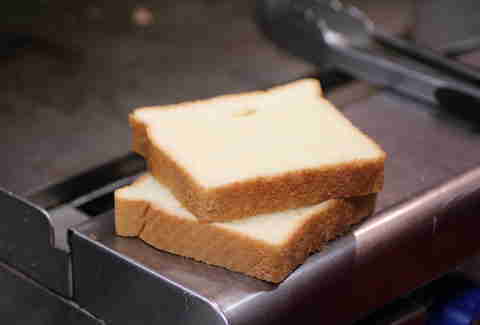 You've got Fren-- er, Freedom Toast. Yeah, like we said before. Done yet? 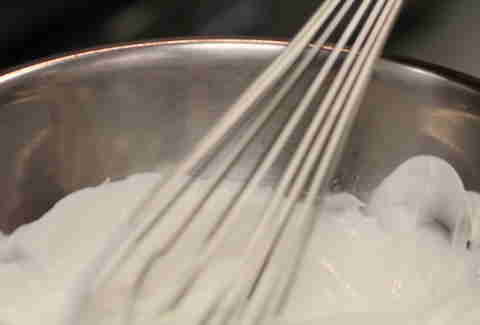 Nope: hand-whipped cream, because, um, don't question it. 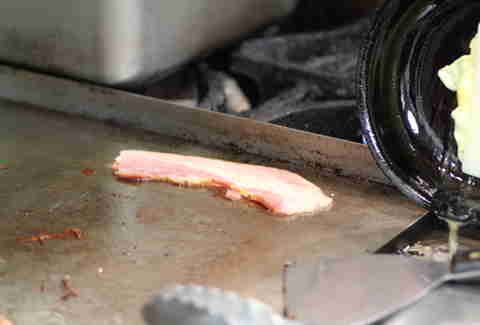 ... and dust on some cinnamon, add some sweet Vermont maple syrup, and you'll have finally found (the) Freedom (Dog). Fifteen other chefs from around the country think they can compete with this, so check them out, too, then vote for this one immediately.